TBs poll for '2009, 1st Quarter Favorite week TechVideos' finished with 133 votes after a two weeks election. 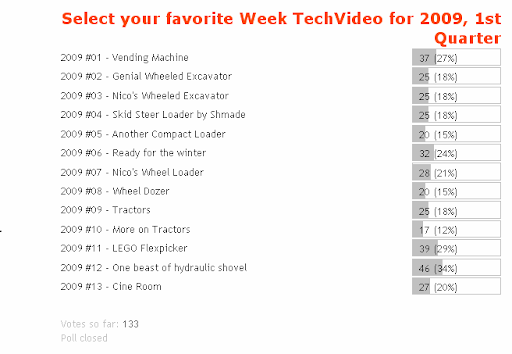 Poll objective was to let you choose your favorite videos, from those weekly highlighted here during 1st quarter of 2009, at section 'Week TechVideo'. The results of this poll have followed the same trend over all the election period. So we ended with no big surprises. Below, the usual: 1st, 2nd and 3rd most voted videos for review. What are you two doing? I don't see any posts about ambassadors. We need to nominate you to represent us. We qualify as a community and we'd like get some affection from TLG :) Seriously, we should talk about this Fernando, AVCampos ?? As you know I'm actually a LA representing my LUG (PLUG). 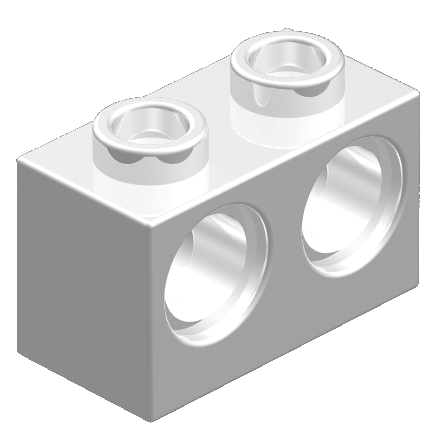 One way or another, I try to represent also the interests of TECHNIC fans here whenever applicable. I'm also applying for the 7th Cycle as PLUG member, so there is a chance for me to continue as LA for one more year. On the other way, Alexandre already stated he his not available to apply. For the moment I never made a solid link from TBs to an online Community towards the LCD team, like TBB or Klocki have. This despite I mentioned in my last application form, that I would represent the TECHNIC fans in the scope of TBs as well. However this is something I could discuss when there is the opportunity. I could even try to bound an eventual reelection on cycle 7 as LA, to TBs as well, as it happens to other LAs. But since LAs are actually limited to two mandates this would create also a problem, because the number of contributers TBs has. 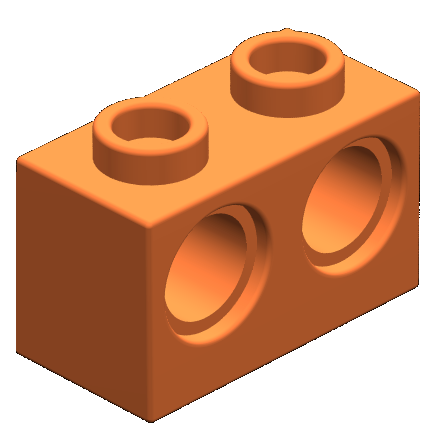 Also I don't want to start a precedent where every online Blog about LEGO, pretends to have his own LA. 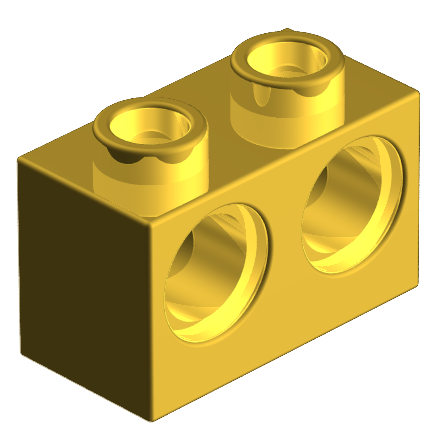 Perhaps TBs should have at least an online forum of its own, for discussions about the TECHNIC theme, before we consider it an online Community!?? (I know... neither TBB o Kloci have it, but they should have a significant larger readership). Nevertheless I don't have available, the required time to set it up even if I wish. Well... all these are topics to think about and discuss. Nevertheless you TBs fellow readers feel free to comment here, what do you thin about this situation. I may even start a poll or dedicated post for this discussion (through comments), but before want to hear more about your opinions.